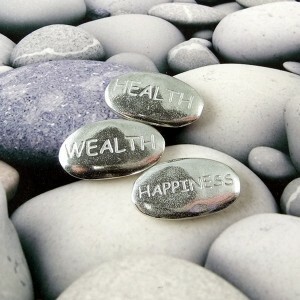 Health Wealth and Happiness comes in many sizes, shapes, and forms. I wanted to take a moment and send out a thank you. There are many ways to say thank you. In the past, it was pen to paper and stamp to envelop. On occasion you could even get away with saying Thank You over a corded machine on the wall. Now? Now you can say Thank You in a variety of ways. Verbally along with a quick firm handshake or hug. Thank you with a brief kiss on the cheek. You can text or tweet a Thank You; post it on Facebook and — you can even — gasp — pick up a paper card and write a Thank You and put it in the postal mail to someone (archaic I know). Or, if you’re of a particular (peculiar) ilk, you can even write a blog post. Or maybe, just maybe, all of the above. I had a couple or three friends show up and cook up a Savory and Sweet crepe brunch. It was a great way to start my day and I felt special and warm and blessed. The food was delicious and home cooked from scratch. We talked for a couple of hours and laughed, and talked of all things old. We chatted about the future without making plans and daydreamed. I had a great time. The original plan for celebrating half a century was scrapped due to unforeseen circumstances outside everyone’s control. A couple of my best mates stepped up without question or hesitation and formed a great plan B. They took over the scheduling, the notifying, and the orchestration of said plan. And Andy will forever be grateful for plan B. Despite the change almost everyone in plan A could accommodated the last minute chaos. I couldn’t believe how many people were willing to change lanes and come out and enjoy dinner and wine and laughs with me. I am blessed and happy for all that came out to wish me well. Even for those that could not come out, I know you were there in spirit — or at least in conversation — cause make no mistake — we talked about y’all. And you made me laugh and we caught up virtually so that was just as good. My family and some of my life long friends could not be here physically, but I heard from everyone in some various shape or form. I received texts and calls (even AARP got in on the joke — thanks Sis) and facebook messages galore. Even the spirit of my father (we used his cast iron skillet for brunch) and my mother (I wore a silver herringbone necklace she gave me) and my grandmother who’s name I bear due to being born on the same day (I wore her ring). Everyone was there. As I blew out the 3 candles (Health, Wealth, Happiness), I realized I was truly blessed. I felt less alone than I had in a long time. I felt more free. I laughed the night through. It was an awesome time and I am glad for everyone who was there to celebrate with me as I step into an awesome new year. PS: In case y’all missed it, this is me writing again. Stay tuned as more is coming. I’ve been working to move in the best direction for me. It’s been full of ups and downs and yesterday threatened to be a down which is how I ended up accidentally hiking 6 miles. I have tried several things, but now that spring is here I find it easier to do one great thing: Get outside and move. It’s so easy to sit there and end up rambling through your head. Head rambling is never good — inevitably it is always negative. So I decided my legs needed a biking break and the cool windy day provided me with a great excuse to do something other than biking. In no short order I found myself at one of my favorite spots in the area: Purgatory. I was just trying to redirect my focus from the dark side, I didn’t want anything too stressful or overwhelming. So I set off with no water, just a sweatshirt, hiking shoes (thankfully my new ones are coming in this week), and a phone (how else does one cache on the fly?) The normal route was closed due to clean up in the area from the floods last year so I was left with only one ingress by the dam. Some trails are closed from March to May to protect the rare Golden Cheek Warbler. It was a little rocky and eventually led up to the top. Nothing too significant and there were a couple of caches in that direction. At the top I took in the lay of the land: the top of the dam, the ravine one side and the red rooftops peaking out of the green trees on the other where Texas State University lay. The day was a little cooler than it had been, but the breeze felt nice and the sun was out which is always a plus. I plugged in my ears and set Spotify to some upbeat music. Before too long I found myself clipping along to the first cache and letting my mind wander where it wanted. Today I started out with the flaws in my current short story (come back April 1st to read all about it) and even more distressing — no ending. As I wandered in what I thought would be a circle (it was not) the story flushed out in my head. I was almost four miles into Purgatory when the details were solidified enough that I could put pen to paper; however, that was when I discovered (via handy mobile) that I had been walking in pretty much a semi circle. There was no way to really complete the other half. I was no where near where I needed to be. In this case, my car. As I scrolled along the map to find paths in the trees I realized I was going to be walking more than I intended. I really was not big on just turning around, nor was I anxious to complete 8 miles since I had not brought water with me — not that that made a difference at this point. Sucking it up, I found a slight diagonal overgrownish path that cut a couple mile off my return route. There were some muddy patches here and there — the only indication that it had rained recently. It was during the grumbling return trip that I realized that I had forgotten about my funk. In fact, I was eager to get back home so I could finish my short story. Ideas percolating away threatening to drift off into the ether the longer I was away from my computer. One consistent way to get out of a funk: DO something. Maybe it’s not always the same thing. Clean the house, go to the gym, walk (maybe not 6 miles), kayak, something — just move your body and the mind will follow. The activity of doing allows you to focus on something external away from the potential negative internal dialog. It’s not a perfect cure, but it does allow one to become more fit and healthy which may just end up on the happy shiny path. If nothing else, you can enjoy the smell of spring, the dapple or warmth on your arms from the sun, and a lightness in you step. What do you do to bring yourself out from a funk? As the end of the year draws near, I like many others, start to reflect over the events of the past year. The good, the bad, the ugly. This year, has superseded most years and brought me a lot of firsts. At the beginning of 2015, I looked down a path that I could not see completely as it wound into the darkness of woods and ferns and birds. 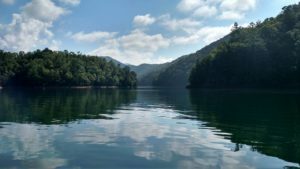 It was with lots of thinking and over thinking, and planning and grasping at intuition that was being drowned out by soun d and confusion that I made my way slowly (and in some cases — not cautiously) down the dirt road. I packed up my little apartment and handed it off to a moving company. Then followed them a few days later in a fully packed SUV with my runt calico of 19 years (20 now). She spent the better part of 3 days bundled into a soft blanket in a small dog crate as I made my first of two solo roads trip to my new chosen home half way across the country. It was the first time since I entered the Air Force that I chose to move into the unknown: no friends, no family, no certainty in which to fall back on. I chose to explore this path with no safety net using only my intuition for guidance. My friends and family that I left back on the east coast were both perplexed and admiring of my current path. While they could not understand my decision to move half way across the country, I think they were a little jealous of my freedom and courage to do so. This path I have chosen has been easy and difficult. There were times I was not sure I chose the correct road. I was alone, lost, hurting, and unsure of my inner thoughts. I refused to cave and I learned how to quiet my anxiety and move outside my comfort zone. While I don’t think I’m in a sunny glen quite yet, I am positive that the trees are thinning out and letting the sun in. I have found a great doctor who listened to me and I am finally getting healthier, stronger — I was almost convinced I would never be healthy again. Through my own due diligence to cure my thyroid disease, I have found a community of people with the same issues. Hypothyroid Mom was just the tip of the tree in moving me in the right direction. I started following one thin trail after another; it lead me to change my eating habits (giving up sugar — fructose specifically — has been a life changer for me). I Quit Sugar has literally made me better, confident, and full of energy. As my body started to feel better and stronger, I conquered other issues. I have grown and settled back into the person I lost years ago as my thyroid played havoc with my body, mind, and spirit. I am calmer and more focused at work. I have started to excel at my job again and it has lead to a more leadership role. I have found patience to teach people my job and the best practices. I am putting focus on what I truly love — writing. Writing posts, writing short shorts (my friends call them poems — but that’s a debate for another time), writing short stories, writing just for the sake of seeing my thoughts on paper (or in this case — on the web). Some people even read them — who knew? I have met a few people, who seem to have the same common interest I do. Coffee, biking, playing games on Friday night, or just in general — hanging out. They are turning out to be a great group of friends and the road is a little less scary, and a little less lonely. With each mile I travel, I feel stronger. I can hear my inner voice a little clearer and while I still don’t know where this path will lead, I know that I chose the right one for me. Every now and then, I can hear the clear sounds of a meadow ahead. Birds in the trees and water rippling in the stream. I am starting to enjoy the walk amoungst the trees instead of fearing the darkness between the tall redwoods. I am enjoying this path and looking forward to the next fork in the road. Ooooo look there’s a small trail over there — that’s 2016. That looks to be a really great path….